TouchCopy 16 works with all models of iPod, iPod Touch, iPhone and iPad. Microsoft .NET Framework Runtime. You can download this directly from Microsoft. The TouchCopy installer will tell you if you need it. If you are using an iPod Touch, an iPad or an iPhone, TouchCopy also requires that iTunes version 10 or higher be installed. 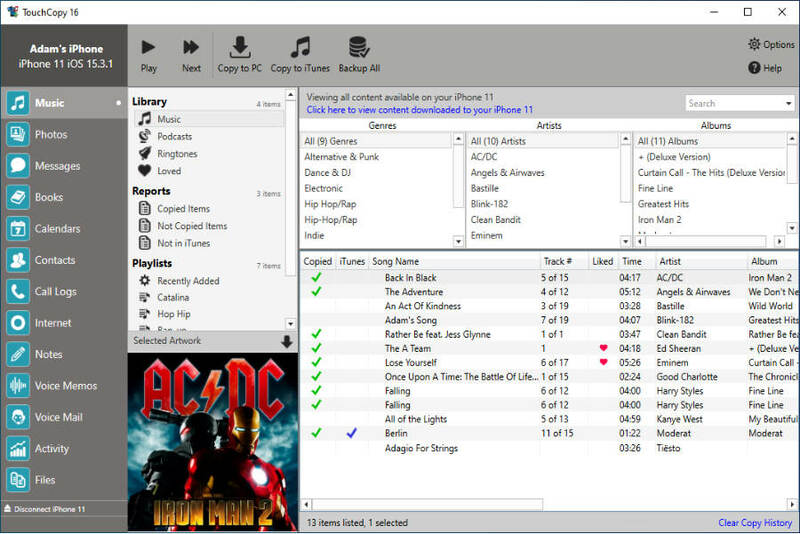 You can download iTunes from Apple Inc.
For other types of iPods, TouchCopy will work without having iTunes installed. TouchCopy requires a Mac running Mac OSX 10.8 (Mountain Lion), 10.9 (OS X Mavericks), 10.10 (OSX Yosemite), 10.11 (El Capitan) or macOS Sierra.